Pianist Rema Hasumi, Japanese-born and now New York City-based, calls her compositions sound stories. 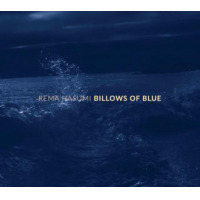 Those "stories" sound like tales drifting out of a dream land: untethered to time and place, free-flowing and graceful, strikingly pretty, sometimes spooky, and starkly rendered, with the input of her empathic trio that includes bassist Masa Kamaguchi and drummer Randy Peterson, on her second album release, Billows of Blue. Hasumi's trio approach brings to mind the late Masabumi Kikuchiwhom she cites as an influenceand perhaps Marc Copland, when he is in a trio improvisation frame of mind. And in an odd way, her trio sound owes a debtas do so manyto the Bill Evans' trios that emerged in the early 1960s featuring bassist Scott laFaro and drummer Paul Motian, with an equilibrium of instrumental input, fluid time and rustling drum tapestries. Setting the sound apart are the vocals, Hasumi's wordless improvisations that enhance the surreal quality of the music: in essence, a third instrument in the mix, and a beautiful one at that. She opens the title tune with a ghostly vocal, a song of a benevolent spirit floating in the mists of the sparsest of accompaniment. The set's opener, "Vers Libre I," begins with a delicate piano rumination, wandering, searching, finding a state of gentle deliberation that suddenly fades. "Still Or Again" starts with Kamaguchi's forceful bass line, leading into Hasumi's assertive chords behind her clear, ringing vocalizations. "Keep My Water Still" sounds like a jazz standard, heard through cool viscosity of blue water. 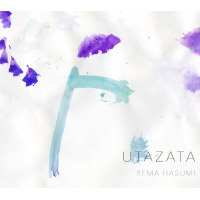 Count Rema Hasumi as a new and exciting and innovative voice on the piano trio scene. Track Listing: Vers Libre I; Still Or Again; Nocturnal; Vapors Of Voices; Keep My Water Still; In the Mists of March; Billows Of Blue; Vers Libre II.